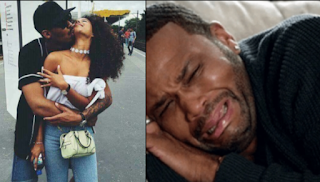 A guy is seriously having terrible nightmares after sleeping with his girlfriend on her m*nstrual period. “I met a girl 5 days ago, I asked her out the next day to be my gf after inviting her over for a date, she eventually agreed! I was happy, she is a beautiful chocolate skinned girl one can kill for! So the day before yesterday I invited her over to my place, she came, we got talking and then we got into a really hot r*mance section and we were both turned on, so I took off her cl*thes and all that, then I discovered she was wearing a p*d and I asked her about it and she said she was seeing her p*riod! I said no problem let us still do it like that o (i said to my self “this one I don manage fit one bang this babe so if I leave her go now as the thing dey her body she fit come make yanga next time o” ) so I pressured her and she finally accepted so we had s*x that day and she left. Guys, since then I have been having endless nightmares anytime I close my eyes! I have exactly the same dream, which is being stabbed repeatedly endless of times by unknown person in the dream! Now I had this same nightmare this night again and this is the reason I am awake right now! Please My people here what could be the cause of this torment in my dream and what is the solution to this? Please help a brother here the dreams are so real and scary It almost feels like I am going insane right now”.